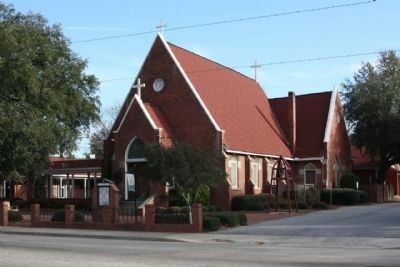 The first Anglican church in Orangeburg Township was established about 1750 by John Giessendanner, and a chapel at Orangeburg was later provided by the Act of 1768 that created St. Matthew's Parish. 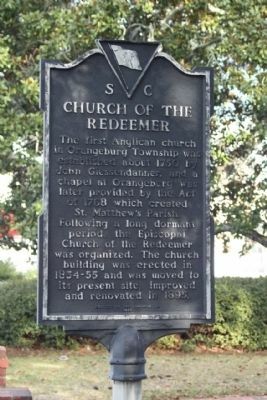 Following a long dormant period, the Episcopal Church of the Redeemer was organized. 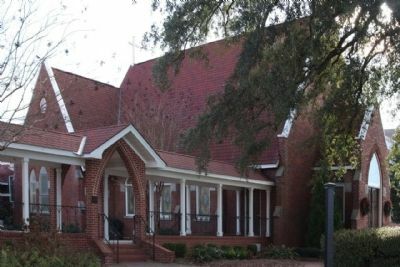 The church building was erected in 1854-55 and was moved to its present site, improved and renovated in 1895. Location. 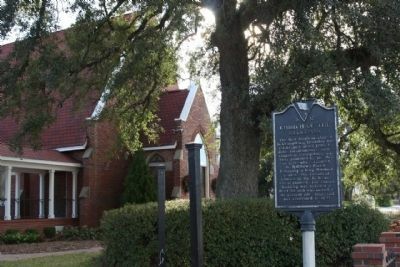 33° 29.538′ N, 80° 51.477′ W. Marker is in Orangeburg, South Carolina, in Orangeburg County. Marker is at the intersection of Russell Street (State Highway 33) and Lowman Street, on the right when traveling east on Russell Street. Touch for map. Marker is at or near this postal address: 1606 Russell Street, Orangeburg SC 29115, United States of America. Touch for directions. away); South Carolina State University (approx. ¼ mile away); Court House Square (approx. 0.3 miles away); Orangeburg Confederate Memorial (approx. 0.4 miles away); The Two Old Guns Of Captain Henry Felder (approx. 0.4 miles away); Episcopal Church of the Redeemer and Graveyard (approx. 0.4 miles away). 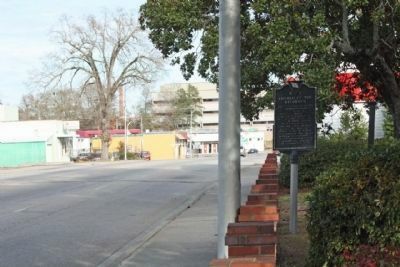 Touch for a list and map of all markers in Orangeburg. More. Search the internet for Church of the Redeemer. Credits. This page was last revised on June 16, 2016. This page originally submitted on January 24, 2010, by Mike Stroud of Bluffton, South Carolina. This page has been viewed 736 times since then and 5 times this year. Photos: 1, 2, 3, 4, 5. submitted on January 24, 2010, by Mike Stroud of Bluffton, South Carolina. • Kevin W. was the editor who published this page.